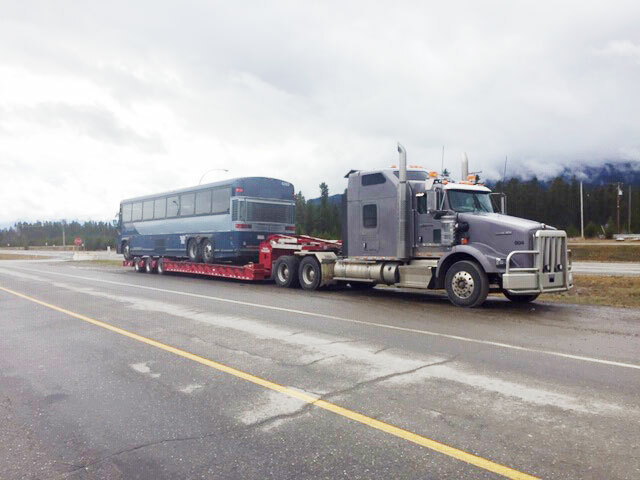 At Cliffs, we treat your equipment like it's our own, ensuring it is safely secured before beginning the transport. Throughout the journey, we'll keep a close eye on the load, preventing any unsafe shifting caused from miles on the road. 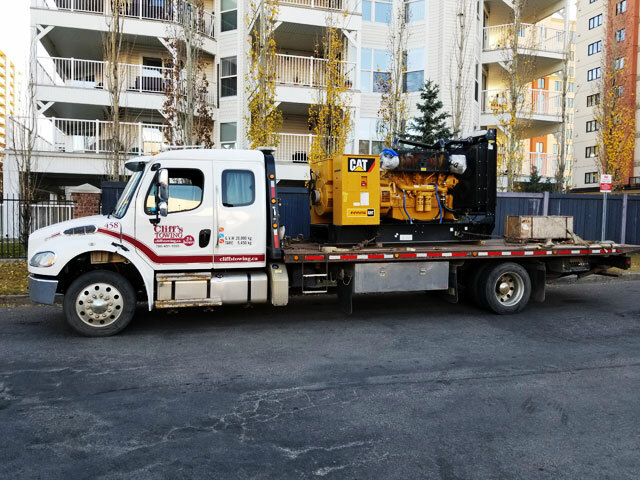 You can rest assured knowing that your equipment will arrive at its destination on-time and in the same condition as when it left the starting point. 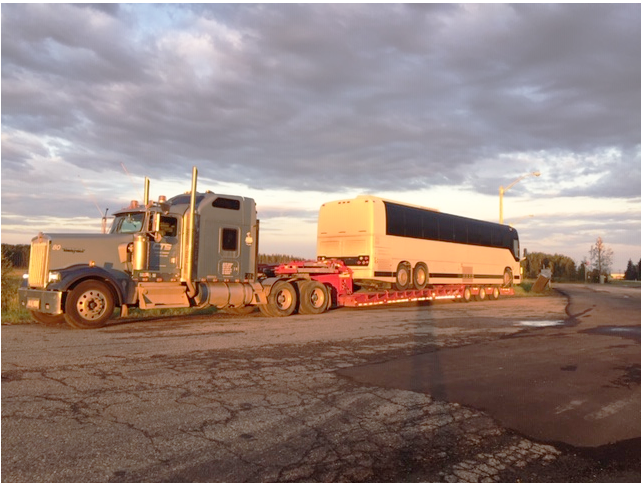 Each of our drivers is experienced and trained in load securement, fatigue management and hours of service and more, which means that Cliffs knows how to keep your assets safe and ensure they arrive on time. 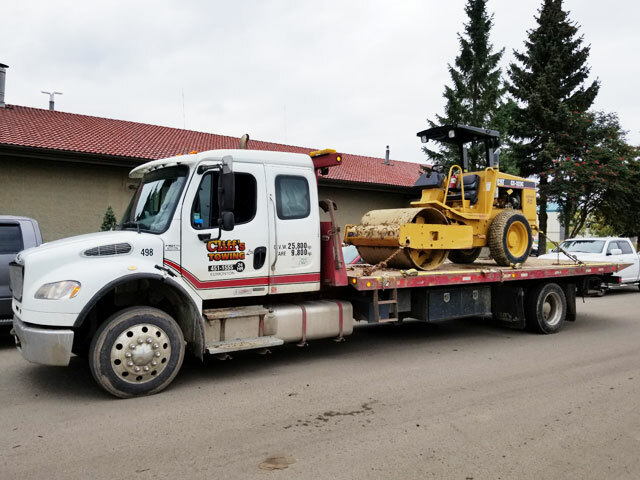 Cliffs Transport can haul any piece of equipment or material that has to arrive in an expedited manner, we are here to make your logistical life easier. 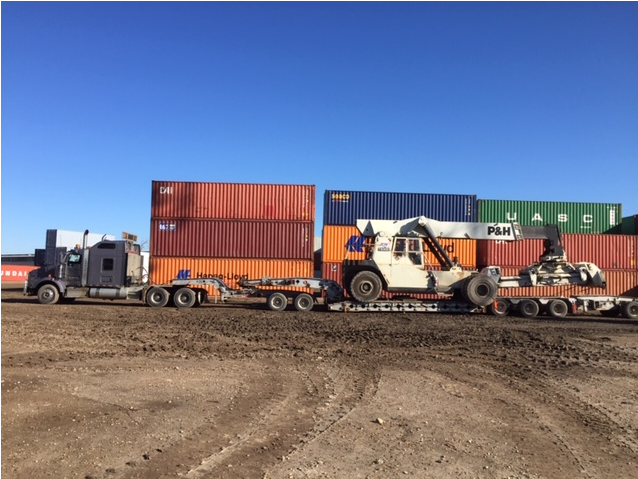 We can also haul all kinds of pallet or crated freight, including Dangerous Goods. 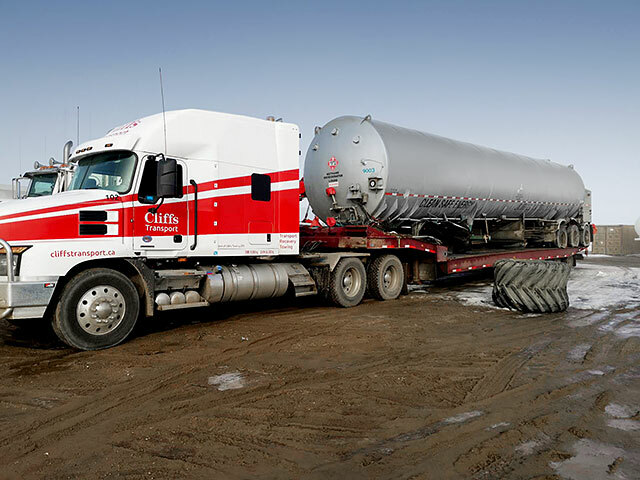 Cliffs Transport uses drive-on decks that lower to the ground for safe and controlled loading. 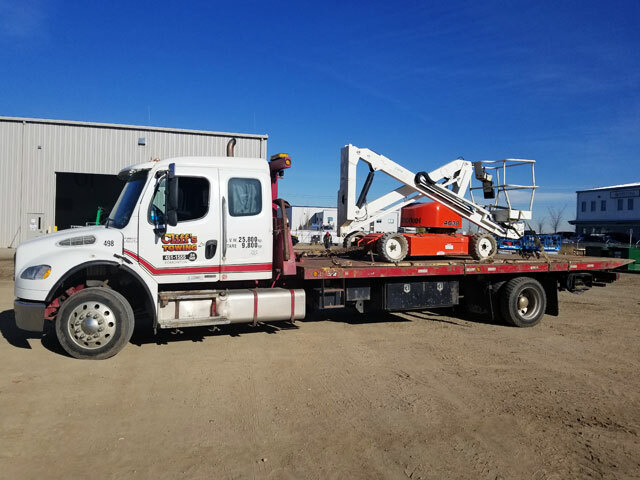 Our deck trucks are the ideal transportation option for rental, construction, or oil and gas companies. 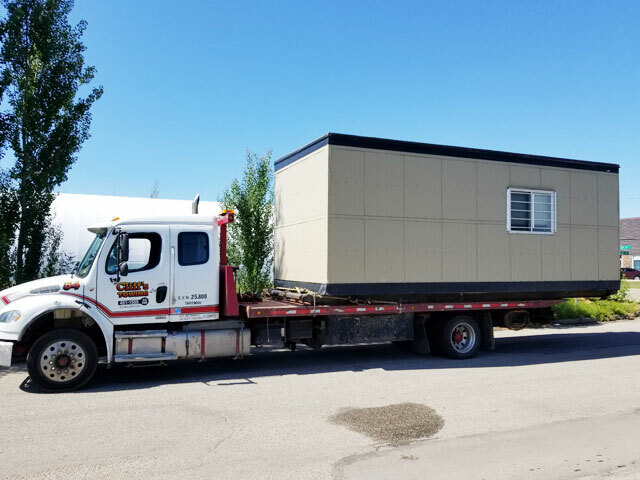 Our units can accommodate all types of small to medium equipment including aerial lifts, scissor lifts, skid-steers, forklifts, trenchers, garden tractors, portable lighting units, sheds, etc. 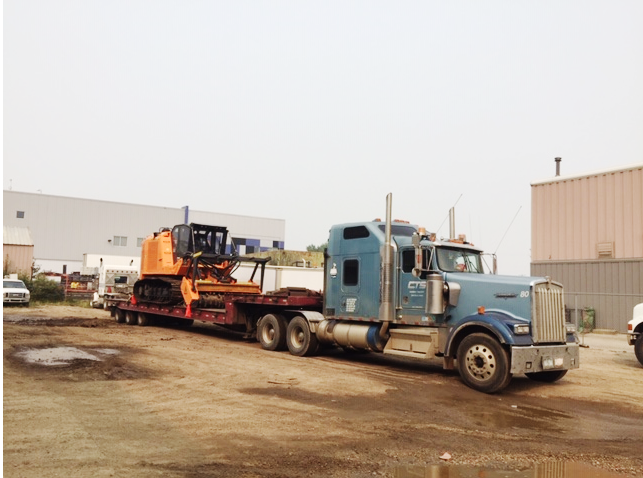 Our larger transportation services for zoom booms, trenchers, gen-set, portable lighting units, etc. 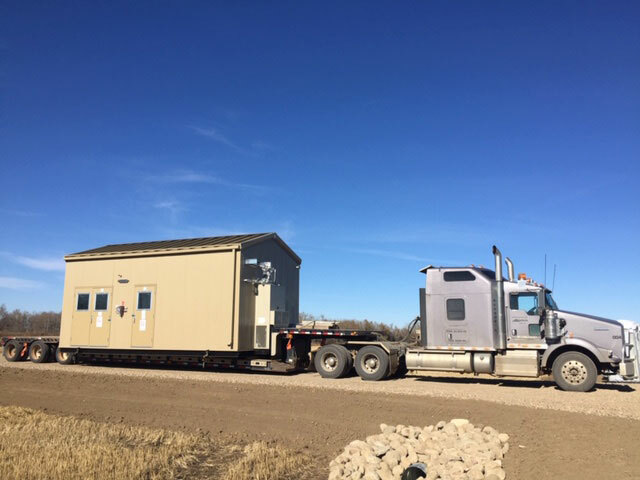 are an ideal option for rental, construction, or oil and gas companies. 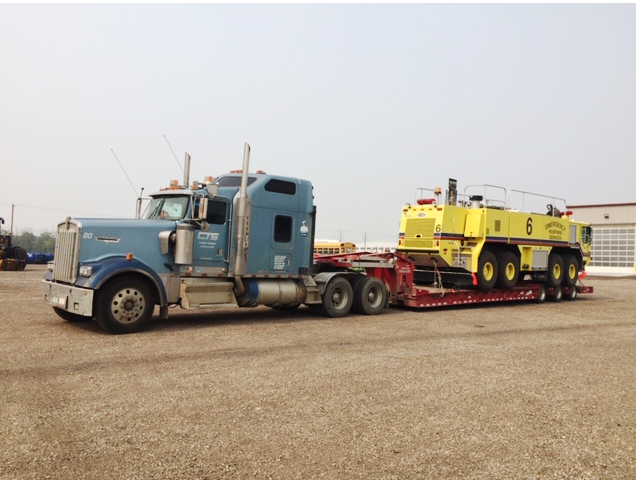 Transporting large equipment weighing 100,000 lbs or less is the specialty of Cliffs Transport. 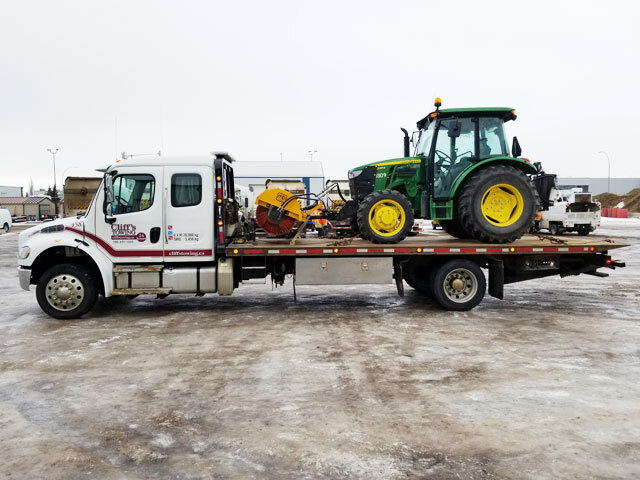 Cliffs fleet of specialized trailers hauls large combines, high clearance sprayers, quad drive farm tractors and other agricultural equipment. 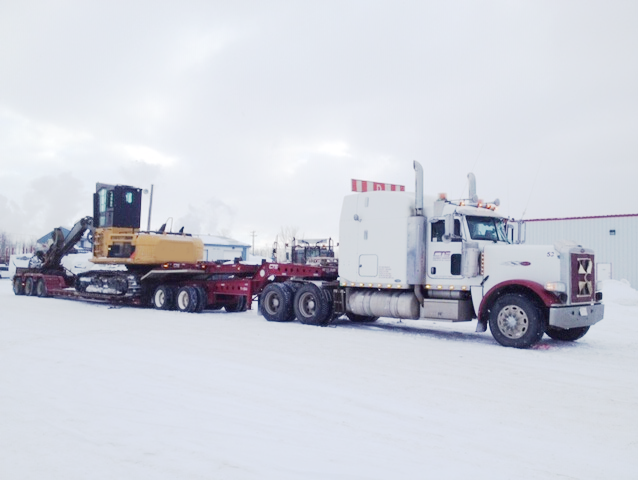 They also haul various kinds of construction equipment such as earth movers, graders, packers, small cranes etc. 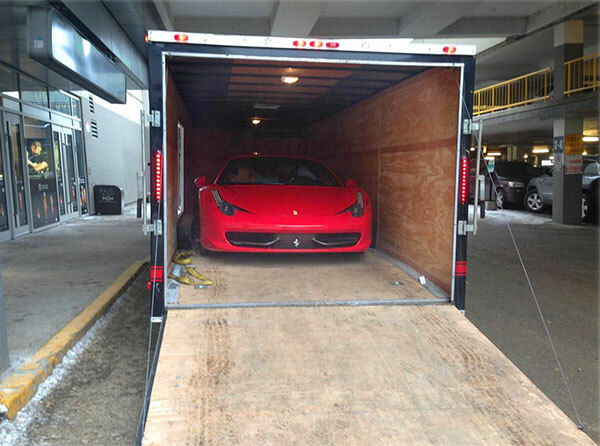 Moving oversized pieces of equipment or large buildings requires the professional pilot car services of Cliffs. 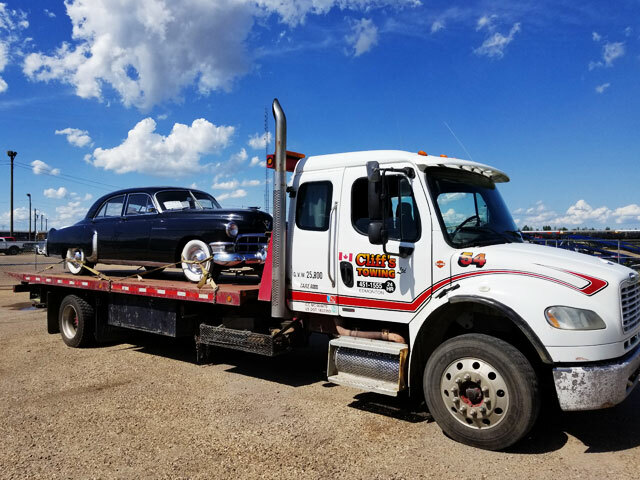 Cliffs Transport will provide an expert lead vehicle, driven by a fully trained driver, to precede the load and warn traffic on the road that a large object is approaching. 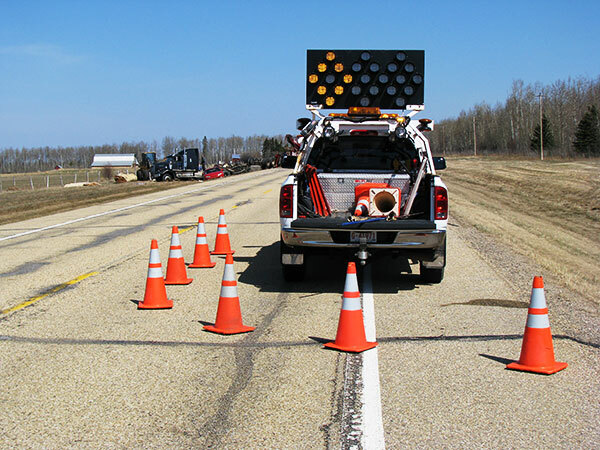 The tail vehicle, also driven by a trained driver, prevents traffic from nearing the load from behind. 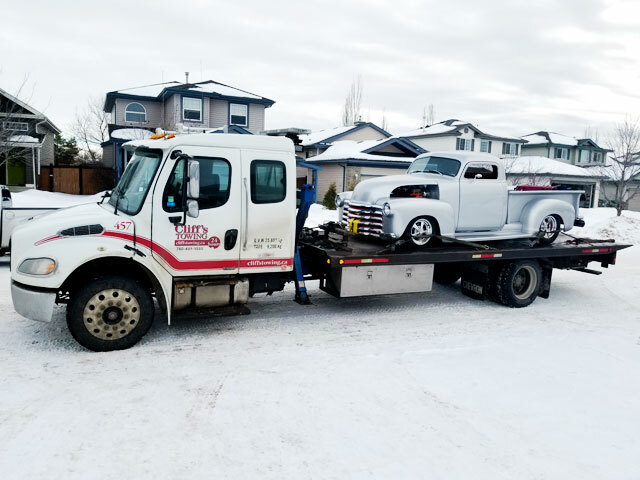 Some vehicles require a little more care when the time comes to move. 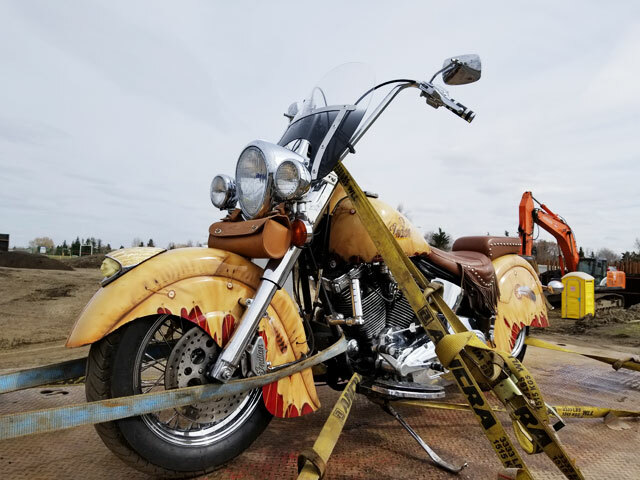 These special vehicles are why Cliffs offers its specialty vehicle transport with door-to-door service. 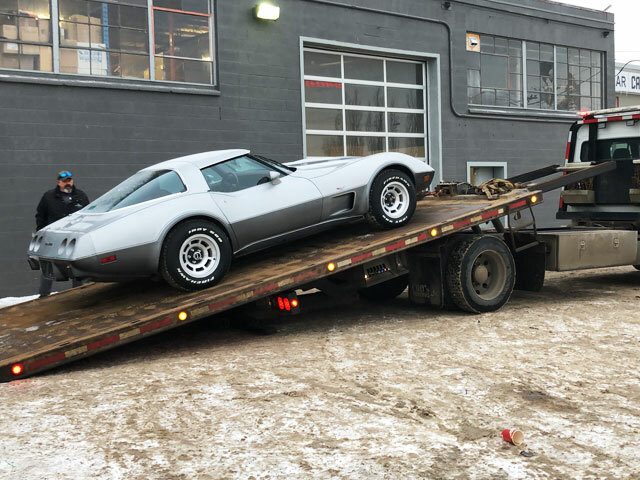 Need to transport your exotic or classic car? 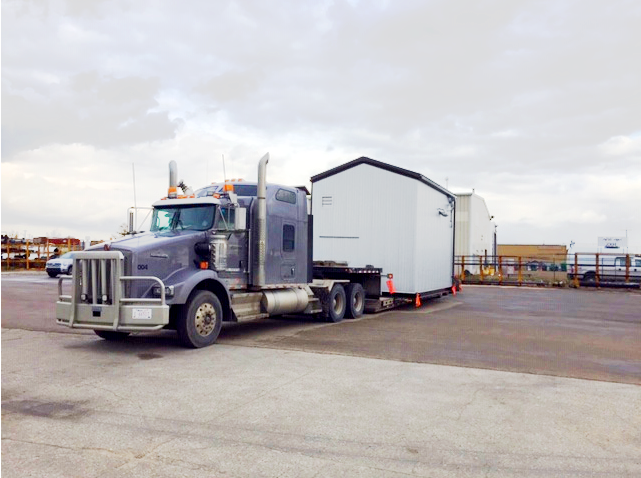 We have it covered with our enclosed trailers. 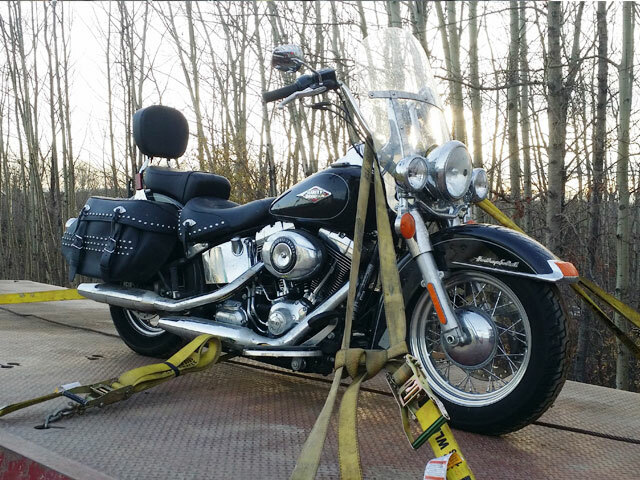 We also have specialized motorcycle trailers.  If you have a vehicle to transport and would like to get a quote as to how much it will cost before you book, click below for our Request a Quote form.